Doors open at 7pm 21+ Advance hard copy tickets are available in person at Boo Boo Record Store in SLO. Print at home/mobile/will call tickets can be purchased online at Ticketfly.com by clicking: HERE. All tickets are general admission unless otherwise stated. The Siren is a small, intimate club style venue and seating is extremely limited on a first come first served basis after doors open and is dictated by estimated show sales. IT IS NOT A SEATED VENUE. Food is still served during concerts. 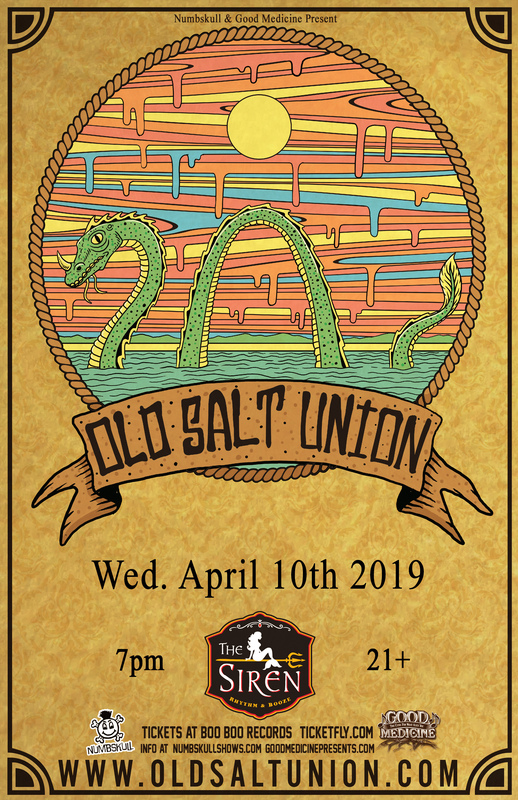 We appreciate you supporting live music at the Siren! 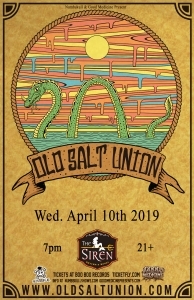 Old Salt Union is a string band founded by a horticulturist, cultivated by classically trained musicians, and fueled by a vocalist/bass player who is also a hip-hop producer with a fondness for the Four Freshmen. It is this collision of styles and musical vocabularies that informs their fresh approach to bluegrass and gives them an electric live performance vibe that seems to pull more from Vaudeville than the front porch.In 2015 they won the FreshGrass Band contest and found the perfect collaborator in Compass Records co-founder and GRAMMY winning banjoist and composer, Alison Brown, whose attention to detail and high standards pushed the group to develop their influences from beyond a vocabulary to pull from during improvisation and into the foundation of something truly compelling in the roots music landscape.